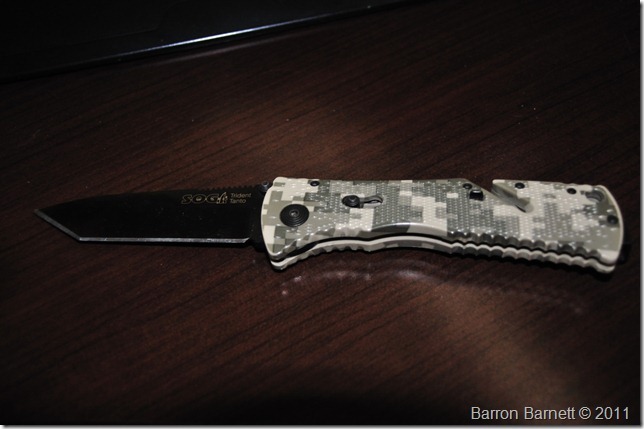 So all the cool kids whipped out their knives earlier this week to show off what they normally carry. I was busy, blah, blah, blah, but here’s my normal carry knives. 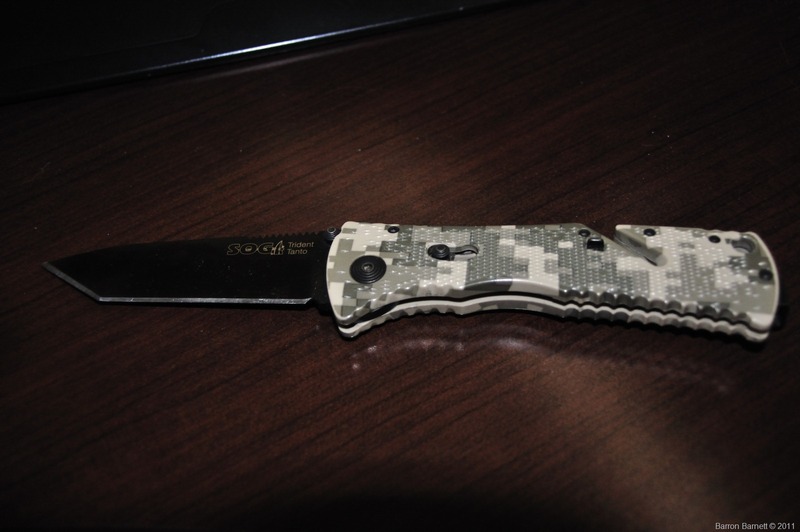 That is my primary knife, it’s a SOG Trident Tanto. That thing gets put through it’s paces between opening stuff and work and general light use in the shop. I don’t use it for heavy work in the shop because that’s what quick change utility knifes are for. The above is kept sharp and I’ll use for food at restaurants that don’t give me decent cutlery. I’ll use it for light skinning, though I have a couple other knives I prefer to use for hunting as the blades are easier to work with. 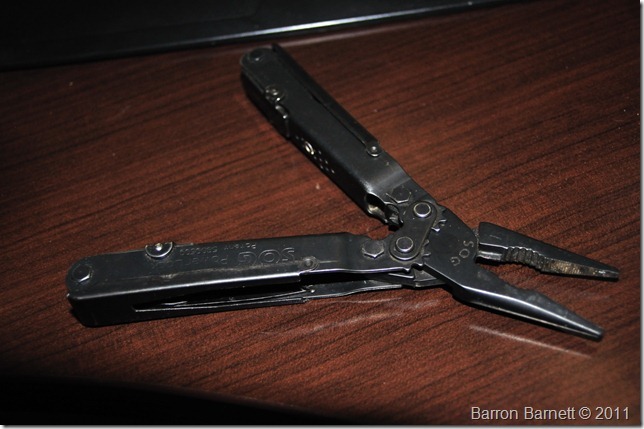 That is a SOG PowerLock EOD. It is by far the best multi-tool I’ve ever used. 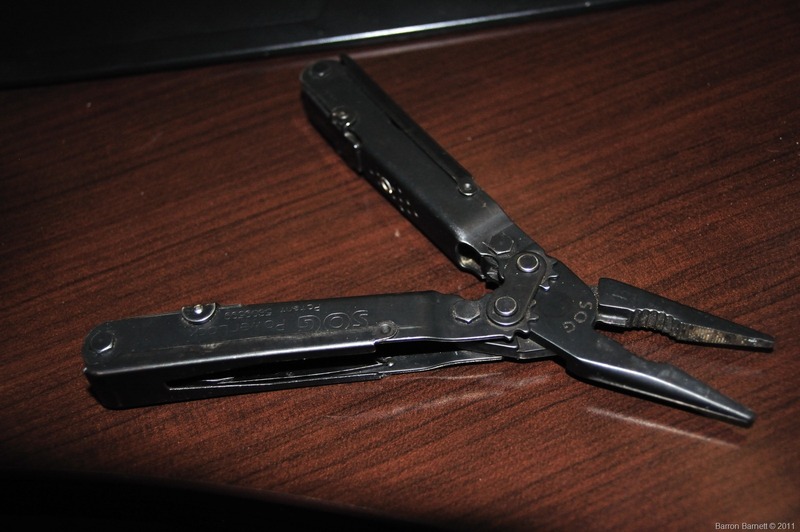 Some multi-tools have a weird feeling in your hand as you try to use the pliers, not these. They are rock solid no matter the angle of the handles. Those get used all the time at work for crimping, cutting, and other various wire work that I need to do. I’m a bit partial to SOG since they’re made here in Washington. I have a Buck that’s worn well, but nothing has taken the abuse like my SOGs.